Welcome to the web site of Bill Chapin, jazz pianist and teacher. 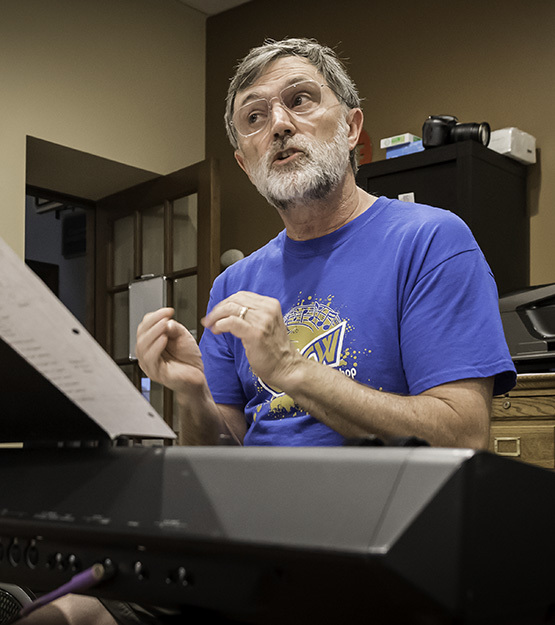 Bill plays and teaches jazz piano and bass, leads his own jazz combo, and coordinates the Grayslake Jazz Combo Workshop from his creative space, Chapin Jazz Studio. Explore the site and sign up for the monthly newsletter to learn more about opportunities to learn jazz at the studio and to hear jazz where Bill is playing. Jazz piano students from Chapin Jazz Studio will perform blues, swing, and Latin jazz selections, backed by a professional rhythm section. Come join the X-tet at the LakeHouse. In April the sextet is featuring jazz tunes about spring, such as Joy Spring, it Might As Well Be Spring, April in Paris, and I’ll Remember April. In May, we will be featuring Latin jazz. Sat 5/18 (No band at the LakeHouse!) We will be playing at St. Pat’s in Wadsworth form 5-7 pm. Public is welcome. 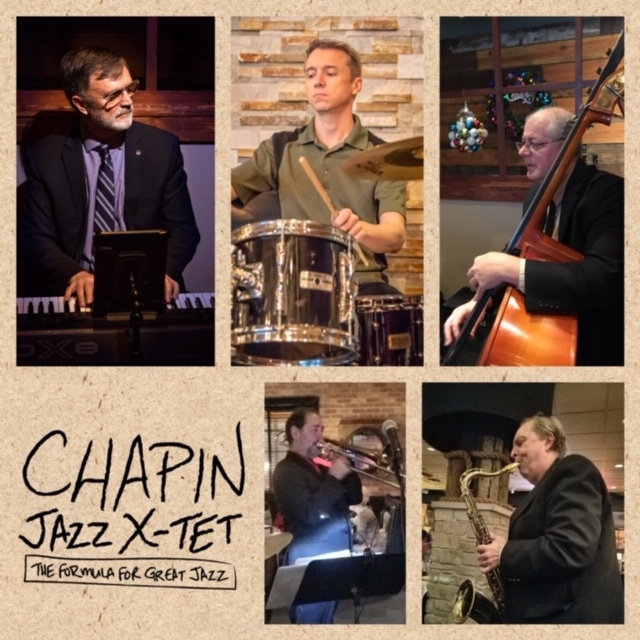 The Bill Chapin Jazz X-tet, a combo performing modern jazz, performs regularly in the Chicago area. Playing in formats from one to six pieces, the X-tet provides the sleek sound of solo piano, the pulse of a trio, or the harmonies of a full combo with saxophone, trumpet and trombone. Perfect for upscale dining and lounges, classy cocktail hours and receptions, fundraisers and galas, and corporate events. The Chapin Jazz Studio offers lessons for the serious jazz pianist, for instrumentalists wanting to learn theory and explore jazz piano, and for anyone wanting to experience the fun of playing jazz piano. The studio also offers a monthly jazz jam session, jazz solo coaching, and instruction on jazz bass and composition. 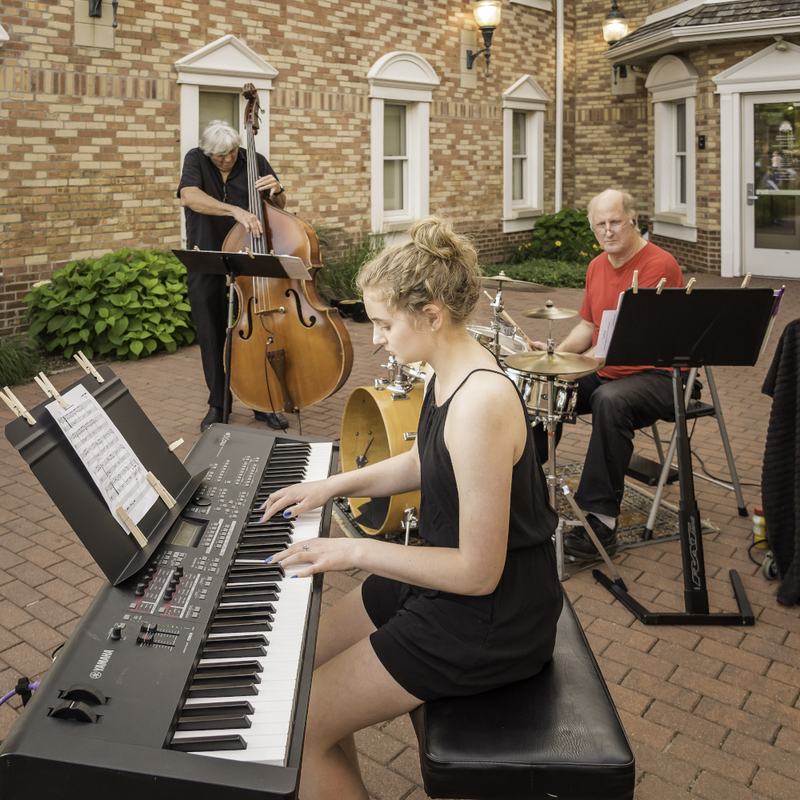 The Grayslake Jazz Combo Workshop, where students study jazz every summer, also calls the studio home. 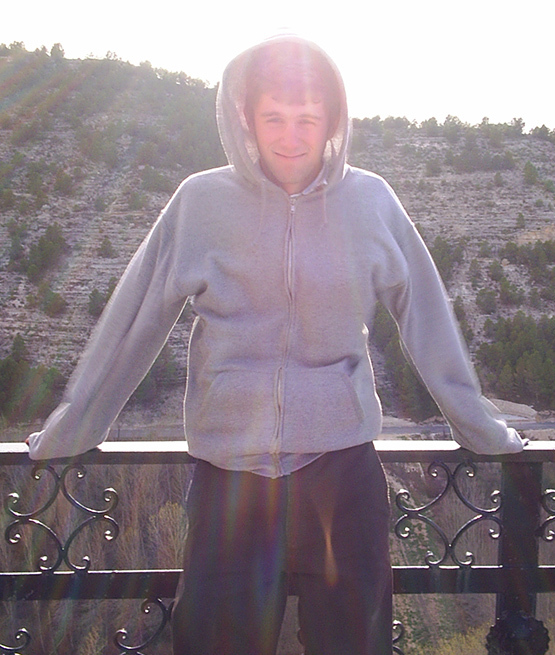 The Drew Chapin Memorial Scholarship for Change memorializes Drew Chapin, now deceased, a 2003 graduate of GCHS who lived his life consciously and was committed to family, the pursuit of knowledge, respect for all persons and cultures, peace, and celebrating life. The scholarship honors Grayslake Central High School students who are knowledgeable about national and international social problems and have a personal philosophy about what actions they might take to improve some aspect of our world. Funds for the annual $2,000 scholarship are raised through the Drew Chapin Memorial Jazz Jam and Concert, held in August. At this annual concert area jazz musicians hold a jazz jam session and concert at the Grayslake Central Park Pavilion.